*Sigh* We recently stayed at the breathtaking St. Regis Monarch Beach (regrettably only for one night) for some sun, rest and spa-ing. The East Coast was cold and grey and I was beyond excited to be driving in the warm sunshine from LAX to Dana Point which takes about an hour and ten minutes. I pulled into the property and was immediately greeted by SoCal-handsome valets (nice touch for a longtime married mommy) and was immediately whisked to check in. The buildings and lobby are beautiful, immaculate but not stuffy. The staff was super friendly and got me directions to the nearest Verizon Store (crackberry trackball tragedy) in a jiff. 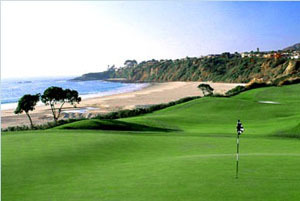 It is worth noting that the St. Regis Monarch Beach is California's only Forbes Five-Star and AAA Five-Diamond awarded resort. Believe me, it shows! I went to our room which was in the East wing on the 3rd floor. We had a signature guest room with double queens. Signature rooms are the basic room on the property and boasts 535 square feet with a private balcony and a spacious five-fixture marble bath with oversized tub, separate shower and dual vanities. Our balcony looked over the main pool and gardens and was so beautiful! I quickly unpacked, grabbed some shorts and went to just "be" with my book poolside. The property has three beautifully landscaped pools, one with chicly outfitted cabanas. I went to the Main Pool which has beautiful views of the Pacific Ocean, gardens and a Tuscan fountain. You can enjoy snacks and drinks from the Pool Bar & Grill and the cabanas are available for rental, providing a private patio, additional furnishings, 32" flat screen television, DVD video system, CD stereo, fax machine, cordless telephone, ceiling fan, and Internet access including Wi-Fi. AWESOME, no? There is also the Lagoon Pool, which is the resort's family pool and then an adults-only lap pool by the spa with underwater music. Yes, I tested it myself. Very cool. Back to the Main Pool, two overworked and frazzled mommies enjoyed the sun and the do nothingness of the afternoon and ordered a glass of wine. We then had a fabulous hotel tour that knocked our socks off. The grounds are so breathtaking and endless, you can see why the property has weddings booked all year. One fun fact we learned is that on Sundays at Motif, the St. Regis' more casual restaurant, they have a family brunch and there is a kids' brunch buffet station that uses petite tables, what a fun and fabulous idea! Even the sleek and chic Four-Star Stonehill Tavern welcomes families and offers a wonderful kids menu. Because I had to make a stop at Verizon Store to get tech support, we ate offsite and the concierge recommended Opah, a mediterranean seafood grill. We ate on the patio, had "skinny margaritas" made with Agave Nectar (only in CA) and enjoyed Ginger Chicken Meatballs, Atomic Shrimp, Grilled Artichoke and salads. It was delish and service was great. We headed back to the hotel and I barely had time to turn off the light before I was blissfully asleep in my luxurious St. Regis bed. The next morning, we grabbed coffee and a quick bite at Crust, the hotel's charming coffee shop and cafe. It was a beautiful day and we decided to do the 5-mile Scenic Bluff Trail Walk before our massage and lunch at Spa Gaugin. (We did not use the fitness center but it is large and they offer a myriad of complimentary fitness classes, yoga, pilates and cardio classes for guests.) The walk was an amazing way to explore the area, beautiful beach and property. We then went to Spa Gaucin for our hour long massage and spa lunch. I was led into a treatment suite with a whirlpool and a fireplace. They use this room for girlfriend massages, mother/daughter or couples. Couples can have wine, champagne and chocolates in the room and have a soak a deux in front of the fire before or after their massages. Paging, Lifestyles of the Rich & Famous! After I was reduced to mush and drooled all over the massage table, I was asked if I would like a complimentary glass of wine or juice. Hello, do you even know me??!! Wine, natch. We were then led to the relaxation room which had lots of magazines, snacks, plush chaise lounges and another fireplace. We settled in and the spa attendant tucked a comfy blanket around my legs, brought me some almonds and my glass of white. Serious 5 star setting and service. We left the relaxation room to change into our suits and continue sipping our wine al fresco at the spa (adult pool) where our spa lunch would be served. We luxuriated on our chaise lounges, took a dip on the pool where we can vouch they do have underwater music, soaked up the sun and our perfect day. The spa lunch was served by another OC hottie and my salad of tomatoes, basil, olives, burrata and arugula was divine. It was very, very difficult to leave this perfect place. For Spring and Summer, the St. Regis is inviting families to experience incredible savings and one-of-a-kind experiences as a part of Love Your Family package. Included in the package is a $100 daily resort credit and the amazing Butterfly Ritual, which takes place each Saturday evening at 7:30pm. After a procession through the main lobby to the ocean view terrace, and a reading of the Monarch Butterfly legend, the hotel releases dozens of live Monarch Butterflies. Children then have an opportunity to bring another set of once frozen butterflies to life by warming them in their hands before they take flight while parents indulge in a champagne toast. Wow!! Fireside Storytime and S ‘mores – Fireside storytelling every Friday and Saturday at 8:00pm, where families can gather to roast marshmallows, and enjoy stories told by the St. Regis Storytellers dressed as book characters such as Alice in Wonderland, The Cat in the Hat, Fancy Nancy, and Snow White. Sandcastle Kids Club – Throughout the summer, Sandcastle Kids Club will offer unique arts and crafts, activities, and entertainment for children staying at the resort. Kids Club is available to children ages 5 -12. Babysitting services for younger children are also available. Upon check out children will also receive a signature St. Regis Monarch Beach backpack and Sandcastle Kids Club souvenir to commemorate their stays. Kids Night Out – On Friday night, children ages 5 – 12 are invited to the Kids Club for movies, games, arts and crafts, dinner, ice cream and fun! Bottom line on St. Regis Monarch Beach: this is one of the most luxurious, service-oriented, lush resorts we've ever, ever visited. Add the private beach club, the amazing family friendly amenities, activities for kids and the five-star Tuscan retreat and you have a family vacation of a lifetime. 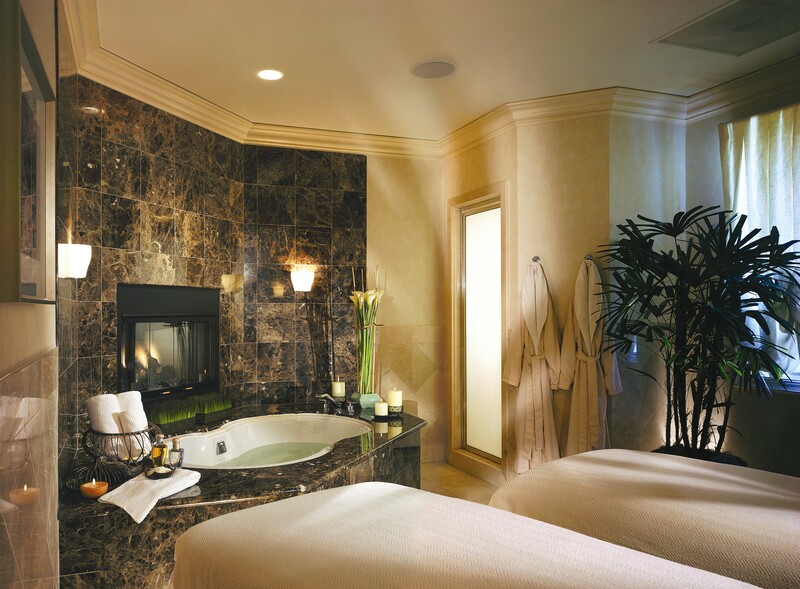 Skip Disney and head straight to St. Regis Monarch Beach. It's worth every penny. Room rates start at $450/night. Check the website for special packages. Love it, love it, love it! Everything is as stated in Posh Brood's fab review. A few things I would add. We've stayed at this property three times and if you can swing a junior or one room suite - do it! Not only do you get more room to stretch out, but you also receive butler service which means a designated contact for all your needs, coffee/tea service with your newspaper of choice each morning and other goodies. Second, the staff at the Sandcastle Kids Club are wonderful. We were there off-season so there weren't many kids, but it made our son want to go back for more. I would say the the space is a little small and not very airy compared with kids clubs at other properties, but the service makes up for it. Bottom line -- an amazing, chic family get-away. We stayed here last spring for a quick getaway, and had an amazing time. The property is so large, it never feels crowded. And although elegant, the resort is not stuffy. After seeing many a rinky dink hotel fitness centers, theirs was amazing. Although, with the nice weather, hiking trails, and outdoor pools, they almost don't even need one. I am hoping to plan a spa day here for my next birthday complete with dinner at the Stonehill Tavern. I had an amazing massage this last time, and the fireplace in the massage room was so cozy. The only thing that disappointed me was that I fell asleep in the middle of it:( This is definitely a top contender for our next family trip.